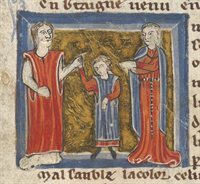 In the thirteenth-century Roman de Silence, patriarchal inheritance laws of the land drive a young girl’s parents to make a choice: lose their lands and leave their daughter without an inheritance or raise her as a boy. Thus, the child (aptly named Silence) grows up to become one of the greatest knights of the realm. In a society that values masculinity, the female characters in the story strive to assert their voices in a world dominated by men’s discourse. The story begins as a traditional chivalric romance, with Silence’s mother Eufemie (whose name means ‘use of good speech’ (cf. euphemism)) and father Cador struggling, in the passionate heat of their courtship, to say what they feel. When Silence reaches puberty, and Cador stresses the necessity of maintaining a masculine identity, Silence, whose body has become the locus for a battle between the personified forces of Nature and Nurture, is left with little choice but to acquiesce. Later, living quite successfully as a man and the most valued knight of King Evan’s (spelled, in various ways, Ebain in the original) court, Silence faces the unwanted sexual advances of King Evan’s wife, Eufeme (whose name means ‘alas! woman’), at which point, things begin to unravel. Unable to voice an essential, personal truth and trapped by the confines of traditional gender roles, Silence ultimately is left silent in a story that is both beautiful and devastating. In 2017, revisiting this story of a transgender protagonist, sexual harassment (and assault), that which is spoken, and those who are silenced, I knew that the time was ripe for introducing my students to Silence. f. 203r of the Roman de Silence (ff. 188r-223r). Nottingham, University of Nottingham, MS WLC/LM/6. Reproduced by kind permission of Manuscripts and Special Collections, University of Nottingham. At the Hockaday School in Dallas, Texas—an all-girls college preparatory school—my Upper School students are women who similarly are trying to find and use their voices in a time (both developmentally and historically) when they are confronting fractured messaging about women’s roles in the social and political spheres. I teach Arthurian stories in British and world literature courses and in a senior seminar on King Arthur. Whenever I teach Arthuriana in my classroom, these students, who are becoming well-versed in the language of feminism, race-theory, social dynamics, and identity, consistently impress me with their ability to discuss diversity with sensitivity and passion. This year, I decided to assemble a focused reading group outside of class for students, enthusiastic volunteers from all levels in the Upper School (freshmen through seniors), to study the Roman de Silence. Like Silence, the students in our group are women growing up and trying to assert their own voices in a world that often tries to silence them. They were so proud to make their voices heard through this project. My goal with this reading group was, in part, to take young, pre-college students and turn them on to that undeniably electric attraction so many of us feel when we study the Middle Ages. In part, I also wanted them to get fired up about how little has changed since thirteenth-century France in conversations about identity and politics. It was serendipitous, then, that a month before our first meeting, TIME magazine named the “Silence Breakers” its “Person of the Year,” celebrating women for breaking their silence in the face of sexual harassment and assault. The weekend before our first meeting, celebrities in the film and television industries at the Golden Globe Awards coordinated the launch of the #TimesUp movement (building on the momentum of the #metoo movement, which had been gaining significant traction through the winter). Women who had been silenced by their abusers and the systems that protected them were speaking out—breaking their silence, just as our Silence could not. My students were incensed and energized—you have to work in a girls’ school to understand it—it was in the air and in many of the conversations they were having with each other and begging to have with me. Silence, then, was a fitting literary entrée into the conversation. The Roman de Silence explores some challenging topics, including sexual harassment, consent, gender dynamics (including transgender issues and the politics of gender), Nature vs. Nurture, and a problematic narrator. Because I was working with students of a wide range of ages (the kids in my group ranged from ages 14-18), I wanted to be sensitive to that dynamic. We decided it was necessary to establish a common language, most important to the students, agreeing on what gender pronouns to use in reference to Silence, the main protagonist, and Heldris, the ostensible author and narrator. One of the biggest (and coolest) challenges with the Roman de Silence is the dexterity with which Heldris moves back and forth between genders in reference to Silence, sometimes even within the same sentence. Heldris, too, is ambiguous in gender, so how were we to refer to our author/narrator? In the end, the students decided together that they would use the gender neutral “they” in reference to both, which provided a sometimes stumbling, but always insightful frame for our discussions. It matters, they learned, which pronouns we choose when referring to Silence and to Heldris. Silence Dressed as a Young Boy. Nottingham, University of Nottingham, MS WLC/LM/6, f. 203r. Reproduced by kind permission of Manuscripts and Special Collections, University of Nottingham. So, very quickly, my students had to figure out how to hold these two things in tension: how can truth and fiction coexist? First, we have an author who is grounding themselves in textual authority (Latin, no less!). On the other hand, that author freely admits that, just as one might a bland soup, they have spiced up the tale by mixing in fiction “in order to improve” it, but in a way that will not spoil the work or make it less truthful. This metaphor of cooking (which seems to lie just below the surface of Heldris’s words) helped my students, but it also sowed the seeds of doubt for some—how reliable was this narrator? Whose side were they on? Choosing to use the singular “they” in reference to Heldris throughout our discussions ended up highlighting (sometimes rather strikingly) the author’s problematic position of authority. When divorced from gender identifiers, assumptions students might otherwise have made about Heldris’s opinions or positions suddenly unraveled, making them much more complex (and perhaps for my students, more frustrating). One minute, Heldris seems so intimately conversant in the effects of sexual harassment on a female victim. The next, they’re condemning women wholesale for their tendency to manipulate men with their tears. When we removed our essentialist biases about how women write or men write (and where their sympathies lie as writers), we found ourselves so much less sure about how to understand Heldris’s position. Student A: What does it suggest about sexuality if Silence has been raised as male for all intents and purposes and yet is not attracted to women? It seems like an extremely progressive idea that even today older generations seem to have trouble grasping. Student B: I actually didn’t read it as a progressive idea, as the phrasing of the encounter between Eufeme and Silence seemed to imply that Silence was not attracted to Eufeme because they (Silence) were biologically female. In this context, the book could be interpreted as hetero-normative, because despite Silence being raised as male, their “true nature” as female means Silence cannot be attracted to women. I guess it really depends on what Heldris thinks Silence identifies as (I personally think Silence is bi-gender, but Heldris seems to be on the side of Nature). This sparked a lively group discussion about Heldris’s “allegiances,” as the students called them. Silence is the best at combat—as a woman, they can do everything men can do (and better! ), but Heldris still will make snide comments about women and point back to the Nature vs. Nurture debate. Then again, Heldris so carefully plays with Silence’s pronouns in a way that seems to suggest, in Student A’s words, “maybe Heldris chose to switch pronouns when Silence felt more in tune with one gender over the other.” This seems so sensitive and gentle that when at other points Heldris makes blanket statements about the failings of women, such statements felt particularly brutal to my students. While the students loved the debate between Nature and Nurture—so dramatic, so steeped in stereotypical gender norms, and so very relevant to cultural discussions we’re having today—they had difficulty figuring out just where Heldris fell on the debate. We spent quite a bit of time discussing the threats and execution of both sexual and deadly violence on women’s bodies. It took us a full meeting, for example, to begin to unknot King Evan’s dismissal of Eufeme’s accusations of sexual assault against Silence (fabricated as they were). When the king says to his wife, “So let’s pretend it didn’t happen. Just think of it all as a dream, sweetheart. / Nothing happened, nothing’s wrong, nothing should come of it” (4245-7), we couldn’t help but think about Harvey Weinstein, Bill Cosby, and so many others, and the many men who worked behind the scenes to enable their predation. When Heldris says of women who are trying to avenge the wrongs done to them: “When she is told to keep quiet, / she tries all the harder to make noise” (4270), we couldn’t help but hear the “Silence Breakers.” When King Evan has Silence stripped of all their clothes in front of the court, exposing King Evan’s limited understanding of truth and forcing Silence, in quiet dignity, to speak their own and then fall silent, my students mourned the loss of Silence’s ability to own and live their identity. In the end, Nature’s victory rung so terrifying (in all its objectification of Silence) that we were reminded of the recent horror film Get Out, directed by Jordan Peele (as though Silence had been sent to the “sunken place” and were watching their life, silently, from afar). This is part of what inspired my students to want to dramatize the story in film. I said previously that I had planned for this group to last about eight weeks. Most of these meetings focused on close, textual analysis and consideration of other primary and secondary texts. During one meeting, I brought in a .pdf of a working draft of Regina Psaki (University of Oregon) and Bonnie Wheeler’s (Southern Methodist University) new prose translation of the Roman de Silence. Wheeler said of the translation: “Gina and I originally conceived of this project as one that would be in print but have now decided to make it open-access on-line so that it can be used in classrooms without adding to student book costs. Thus we don’t want it included in course packets, etc., for which students are charged.” They asked a few colleagues (including myself) who teach at different levels to do beta testing, and their goal is to produce a parallel text/translation, including links to important essays on the poem. If all goes well (and they find a great tech-helper), we should expect to see it available by spring 2019. In the meantime, my students were delighted to engage with (and even provide suggestions for) this fantastic translation-in-progress. About six weeks in, my students decided that they wanted to produce a film trailer for a movie about Silence (it was a group filled with budding actors, costume designers, creative writers, and film makers) and began making plans in a Google doc for a culminating project. They spent about four weeks on this and developed a draft for a script. What was most interesting was how they thought through the rhetoric, purpose, and audience of a film trailer and struggled with what scenes to preview and how best to problematize Heldris (who would provide the extradiagetic voiceover). In the end, they ran out of time (with graduation looming on the horizon), but during our final meeting (lucky number 15), they were determined to come up with some kind of project nevertheless. Therefore, they created a Twitter handle, which this year’s students will now run. So feel free to check out @heldriscornwall on Twitter for some fun memes, surveys, retweets, and recommended reading! Our only copy of the text is in University of Nottingham, MS Mi.LM.6, which now has a new shelf mark as part of the Wollaton Library Collection: MS WLC/LM/6. A catalogue record can be viewed here: http://mss-cat.nottingham.ac.uk/DServe/record.aspx?src=CalmView.Catalog&id=wlc%2flm%2f6. Further manuscript bibliography can be found here: https://www.nottingham.ac.uk/manuscriptsandspecialcollections/collectionsindepth/medievalliterarymanuscripts/wollatonlibrarycollection/wlclm6.aspx. The manuscript was unknown until 1911 when it was discovered at the Elizabethan manor house of Wollaton Hall, Nottinghamshire in a crate labeled “unimportant documents.” See pp. 221-36 of the Report on the Manuscripts of Lord Middleton Preserved at Wollaton Hall, Nottinghamshire, compiled by W. H. Stevenson for the Historical Manuscript Commission (London, 1911). Images can also be viewed here: https://www.nottingham.ac.uk/manuscriptsandspecialcollections/heritage-digitisation/gallery.aspx. See Heldris de Cornuälle, Silence: A Thirteenth-Century French Romance, ed. and trans. Sarah Roche-Mahdi (East Lansing: Michigan State University Press, 1992). The name Heldris de Cornuälle translates to Heldris of Cornwall, but it could also be Heldris of Cornouaille, the medieval name for a region in south-west Brittany, the southern part of the modern-day département of Finistère. It is probably an Arthurian-sounding nom de plume of sorts. We know nothing about the author. The language in the manuscript is a mix of Francien and Picard dialects of Old French, meaning that the manuscript was likely brought from France to Nottingham, possibly during the Hundred Years’ War (Roche-Mahdi xxiii). For further reading, Arthuriana has dedicated two full volumes to the Roman de Silence (7.2 and 12.1). More recently, see: Katie Keene, “‘Cherchez Eufeme’: The Evil Queen in Le Roman de Silence,” Arthuriana 14.3 (Fall 2004): 3-22; Heather Tanner, “Lords, Wives, and Vassals in the Roman de Silence,” Journal of Women’s History 24.1 (Spring 2012): 138-159; Jane Tolmie, “Silence in the Sewing Chamber: Le Roman de Silence,” French Studies 63.1 (January 2009): 14-26. Important Update 7/26/18: The Medieval Institute recently merged the Medieval Undergraduate Research website with this one. All posts from the old site have been transferred here, and the  undergraduate content can now be found under the "Undergrad Wednesdays" category. The rest of the information in this post remains accurate and up-to-date. The assignment below supports our ongoing efforts to promote instructors’ use of the Medieval Institute’s sites for pedagogical purposes. Maj-Britt Frenze graciously shared this sample from her course on Tolkien’s Mythologies and Monsters. The first sample assignment can be found here, and the original discussion of the Medieval Undergraduate Research page can be found here. For up to 5 points added to their final grade, students may compose a blog (c. 500 words) based on content from the course. Students may adapt an existing project from the course into blog formatting or compose entirely new material. 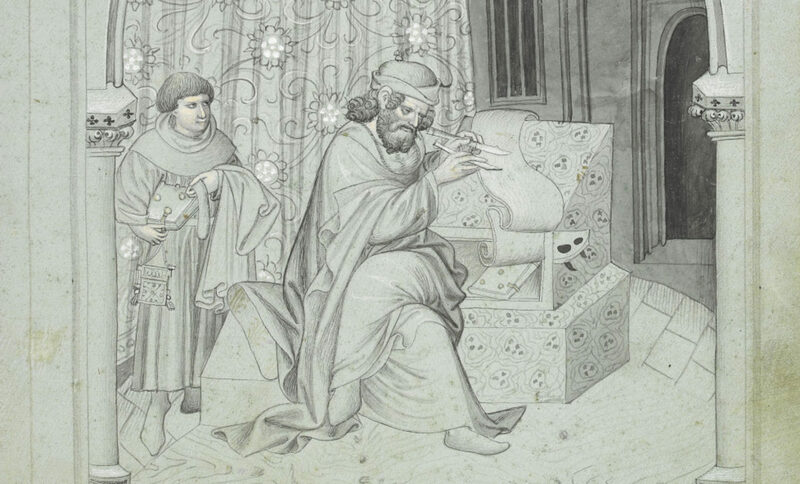 Students will receive 2 points on their final grade merely for completing the assignment, and up to 5 points for truly excellent work which can be published on the Notre Dame medievalist website for undergraduate research. Originality of Content: Did the student compose something new and exciting that delves deeply into a text/material? Careful and thorough use of source(s): Does the student incorporate a few short quotations from a medieval text? Does the student refer to movie scenes, etc, clearly so the audience can follow the student’s argument? Style: Does the student write in a clear manner? Has the student carefully proofread the piece? Aesthetics: Did the student incorporate appropriate images and conform to any copyright restrictions? Does the design of the blog look appealing? In light of my recent introduction to the Medieval Undergraduate Research site as a useful pedagogical tool here, I thought it might be helpful for some instructors to see a few additional sample assignments in current use. Pasted below is the prompt I am testing out this semester in my upper division Canterbury Tales course, which, based on the drafts I’ve seen so far, is likely to produce successful results. A second sample written by Maj-Britt Frenze and designed as an extra credit project will follow soon. I intentionally wrote the assignment below to be easily adapted for many kinds of courses. Please feel free to borrow and/or modify it for your own use. This assignment could also work for graduate courses (see my rationale on how important it is for grad students to build online, public profiles here). For this assignment, you will be writing in a digital genre for a real audience of academic and public readers. Your work will be published online at the Medieval Institute’s Medieval Undergraduate Research site (http://sites.nd.edu/medievalundergrads/). Your topic should introduce and interpret a text (or, alternatively, a manuscript of the text) from the course calendar. Choose one that you have not yet written about and that you do not plan to write about for your final essay. This is a short piece, you want your topic to be specific, i.e.—one character in a tale, a particular setting, theme, image, etc. Make a connection between the medieval text and the modern world in a way that demonstrates its relevance to the modern reader (connections to pop culture, tv, film, books, social media, news, etc., all work well). Why should your readers care about what they might see as an old, dusty, out-of-touch narrative? Use multimedia intentionally and thoughtfully. Don’t just plop some pictures in and move on. Any pictures, videos, memes, etc., need to be on topic, integrated into the post, and add real value to the point you are making. If you use manuscript images, be sure the images are not copyrighted, or else let me know so that we can request permissions to publish them. Include photo captions when necessary to identify subject matter and/or cite the source/owner of the image. Close read and interpret carefully chosen passages from the text. Address a wide audience that includes your colleagues and professors, but also your family, friends, and future employees (who will care about your ability to write well!). In other words, don’t assume that your audience has previous knowledge about the text, or that they know the specialized jargon of your discipline. Do write professionally, but accessibly. Include a Works Cited in MLA format at the end and, if relevant, consider linking to online resources in the body of the post. One advantage of digital genres is that you can insert links to other online academic resources anywhere in your post. Be sure to carefully vet those sources for quality and relevance. Libraries and museums (e.g.––The British Library, The Getty Museum) often have excellent catalogs, blogs, online galleries, and more. Many academics and universities also work on fantastic projects: online editions, facsimiles and images of manuscripts, mapping projects, blogs, etc. Include a list of 5 tags (keywords about your posts). Blog sites are organized by categories and tags. Your post will be categorized under our course title “Canterbury Tales,” but you will decide the tags for your post. Tags are keywords that identify the subject matter of your work, such as authors, themes, time periods, etc. 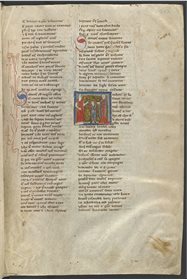 A user might, for instance, want to click on the “Chaucer” tag to see a listing of all the posts about Chaucer on the site. Interlink with one or two of your classmate’s posts (in your final draft). Interlinking between posts on a blog site is one way to increase traffic and to highlight the connections between the site’s various entries. These links constitute a form of citation that is not possible in print essays, and they allow you to explore how to use this digital citation method. Thus, when you turn in your first draft, we will workshop the blog posts, and you will be required to make a connection between your work and someone else’s with a link to their post. You can simply write in brackets and bold text [link to X’s post here]. Integrate this connection as smoothly as possible into your text. It should sound like it belongs there, not like you added it because your teacher made you do it. Follow-up: This assignment was one of the most successful ones I've given in over ten years of teaching. Many students commented on it in their student evaluations, and students simply write better when they have the freedom to choose a topic they're interested in, make the material relevant to their lives, and work in a popular genre that appeals to them. Try it!